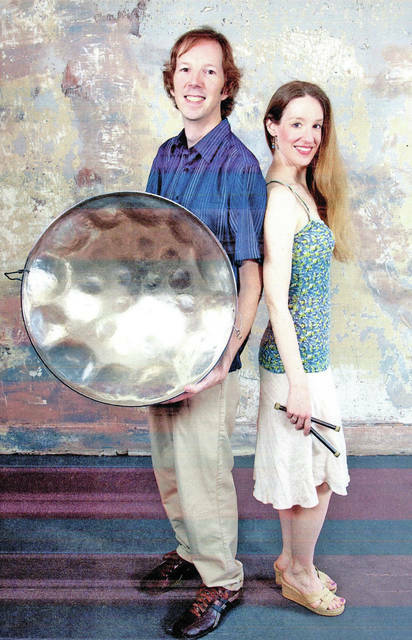 The Bacchanal Steel Band Duo will perform Thursday, July 19 at the Lynchburg Branch Library. As part of its Libraries Rock summer reading club this year, the Bacchanal Steel Band Duo will appear at the Lynchburg Branch Library at 6 p.m. Thursday, July 19. Since 1998, Bacchanal has been entertaining and educating with the combination of calypso, soca, reggae, pop and classical music. One member, Brian Malone, has family ties to Lynchburg. The band has performed on more than one occasion at the Lynchburg-Clay Elementary School to great accolades. For more information about the band visit www.bacchanalsteelband.com. The library is located at 102 S.Main St., Lynchburg. Call 937-364-2511 if you would like more information. Submitted by Elaine Williams, librarian, Lynchburg Branch Library. https://www.timesgazette.com/wp-content/uploads/sites/33/2018/07/web1_Libraries-rock-pic.jpgThe Bacchanal Steel Band Duo will perform Thursday, July 19 at the Lynchburg Branch Library.